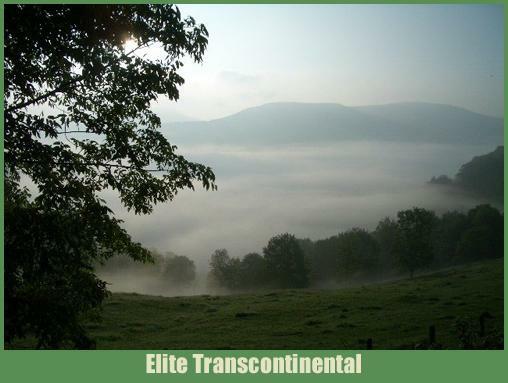 The fastest transcontinental bike tour ever! PAC Tour's first Elite Tour was in 1995 and has been going strong ever since! 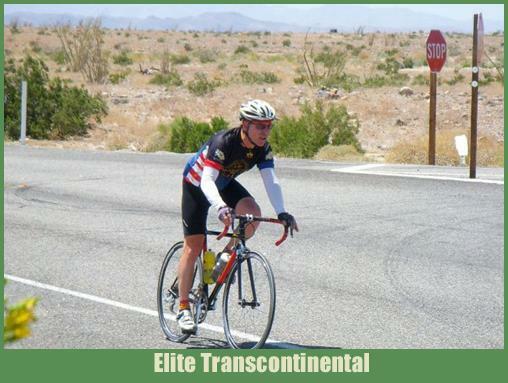 Help our Elite riders with their fund raising efforts! Greg Conderacci is fundraising for Our Daily Bread Help him raise $66,000 in honor of his 66th Birthday! Daily miles range from 140 to 196 miles per day. Riders completing 100% of the tour will qualify for the Race Across AMerica.This extremem cross country bike tour intended for the most serious riders who are looking for a very challenging ride across America. 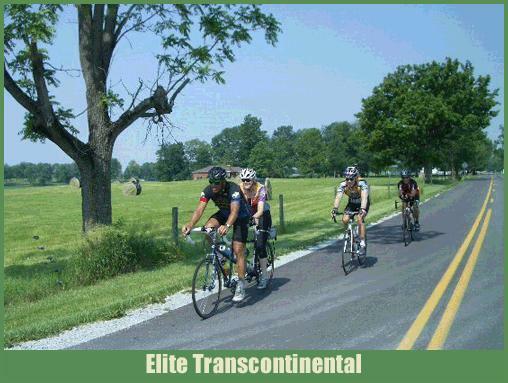 All riders must routinely ride 200 miles in 10-12 hours in training. An Elite Team Division is being offered for two riders to share participating by individually riding 80-120 miles each day. This Elite Tour begins in San Diego, California with moderate daily distances the first three days while crossing the desert. We hope all riders will be able to gradually work themselves into shape before they begin the longer days for the remainder of the tour. The route will use a combination of good cycling roads we have ridden for many years. This is not an easy cross-country route following the boring flat lands of the Southern states. We will intentionally climb many steep mountain grades in Arizona and New Mexico. In the eastern states we will ride many hilly days including the notorious Talimena Parkway which includes many 15% grades. This cross country bicycle tour is only for the best riders. Do not come on this tour if you are looking for an easy ride across the country. Even the fastest riders will be tested to their limits on most days. This isn't your typical lemonade and cookie tour. The Elite is the most strenuous of any PAC Tour events offered this year. Riders are expected to maintain a 14 mph minimum average or stay within a 90 minute group spread per 100 miles (which ever is slowest). Riders behind this pace will be shuttled ahead until they are back on schedule. We have 15 registered riders as of January 1st! This is a new rating system to help you compare different PAC Tour events. For example: One hundred feet of vertical climbing is equal to about one mile of riding distance. We have also considered other variable such asriding in prolonged heat over 85 degrees and other geographic challenges. This rating system is not exact because the same tour from year to year will always have variations in wind, rain and other factors. We have also included the "Weirdness Factor" which can make a tour more challenging such as riding in the high elevations of Peru or the rough roads on Route 66. Pay $500 by December 1st and receive a Historic Lon & Susan DVD set that includes 6 hours of television documentaries from their cross country cycling records. You will also receive a new PAC Tour cycling hat made from Cool-Max fabric with the classic Red, Yellow and Black PAC Tour design. Pay $1000 on Jan 1st and receive a PAC Tour commemorative from in stock items that may include – Columbia Travel shirts, Sierra Design Micro Jackets, REI Flashbags and/or Columbia Fleece Jacket. Rider count is taken 60 days before the start date of the tour and then final payments can be calculated and paid. PAC Tour will notify registered riders of the final costs for each tour.